The Department of Sports and Physical Sciences of Hansraj College organised a Sports Orientation on 29 August 2017. The event also marked the 102nd birth anniversary of Major Dhyan Chand, a day which is celebrated as National Sports Day. The highlight of the event was the felicitation of the Sports Council which came into being for the first time in the history of Hansraj College. The Principal, Ms. Rama, inaugurated the event with the lighting of a lamp with Dr. M.P. Sharma, Head of Hansraj Sports Department. This was followed by speeches by the two professors. The Principal, along with the Sports Department, felicitated the first Sports Council of the college. The Sports Council will seek to organise and regulate several sports-related events for the college throughout the academic year. This will include organising an annual Sports Day in the college and several sports meets and interactions. Events like circuit training, boot camps, and walkers groups are also a part of the Council’s vision. Along the lines of their motto, “Come and Play”, the Council hopes to facilitate student participation in different sports. 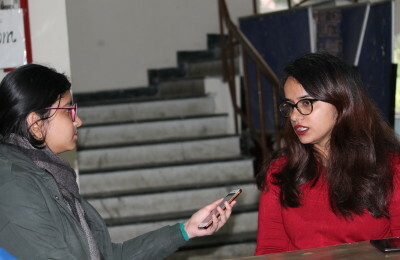 The Council also announced that an annual Hansraj Sports Magazine will be published by the its editorial board. Fire in Hansraj’s Chemistry Lab: How Safe are our Colleges?